Change Inspector improves the schedule review process and reduces the review time. 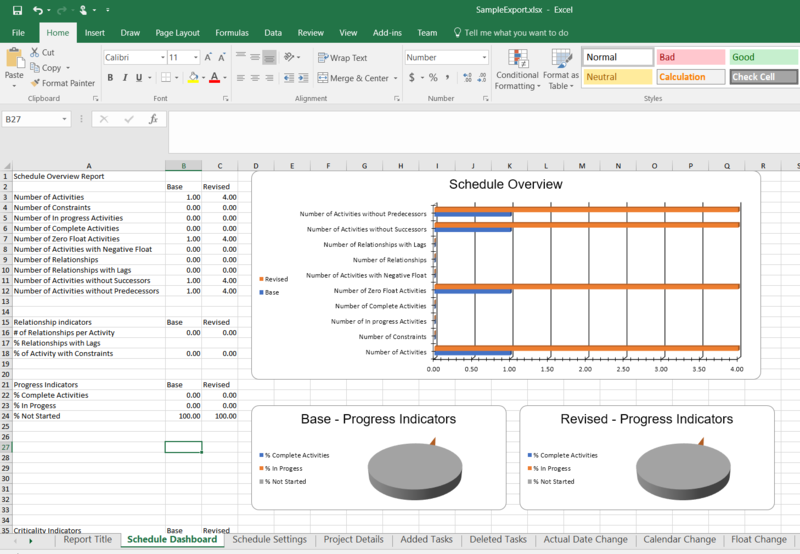 It also highlights the problem areas, like the activities that were supposed to start in the update period but didn’t.Change Inspector provides the schedule comparison results in a series of comprehensive and organized reports. With Change Inspector, in 3 easy steps, a detailed schedule comparison report can be created. Loading up 2 Primavera P6 XER files is the first step in generating comparison reports. First, simply browse and select your base and revised XER files, then click the “Import Schedules” button. Choose the report you want to see from the list on the left of the screen, then click the Create Reports button. Change Inspector’s output is simple. The reports are shown in different tabs where the user can switch from one report to another. You can even set filters on each column to help your analysis. You can use the “Export to Excel” or “Print to HTML” features. 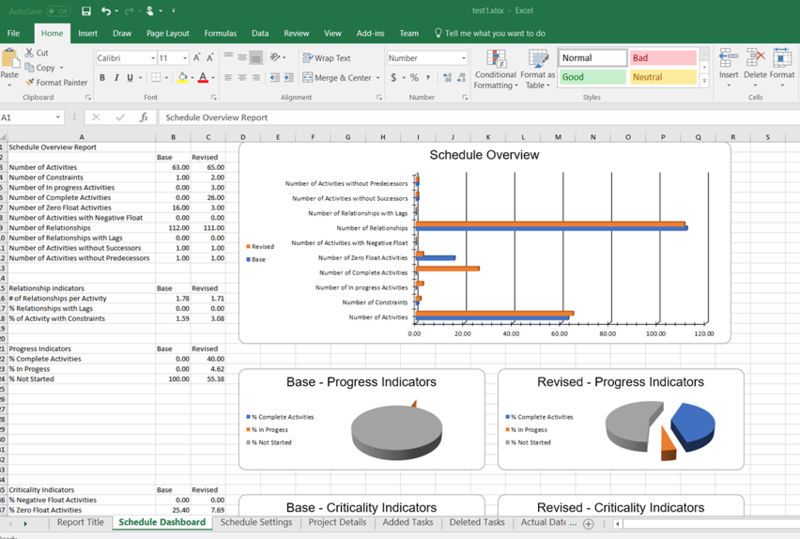 Change Inspector allows you to quickly get your data in Excel for more massaging or formatting. It also generates a very nice HTML report of your data, complete with a table of contents. Change Inspector will help reduce the time for reviewing schedule updates saving you time and money.